Rehearsal CDs are becoming more and more common place. For those of you who don't know about them, they play your voice section on a musical instrument, so that you are able to learn the rhythm and notes, in readiness for your Rehearsals. They are useful not just for the novice singer who cannot sight sing, they are also for the experienced singer, who wants to practice. It used to be that you would have to pay to obtain rehearsal CDs. You would scour the internet, looking for a Company or Individual who had already compiled the piece(s) for you. If you were performing several pieces by different composers, it was quite costly. Last term, we made the step of producing our own Rehearsal files. You will be able to play them back on the computer, and you have the ablilty to learn the pieces at your own pace, in the comfort of your home. We produce a solo piece for each voice section, and we also produce a mixed piece, where your voice section is heightened volume-wise, thus enabling you to get to grips with the piece as a whole. You have a limited ability to speed up or slow down the pieces, using your own software. We have more flexibility in that we can change the speed to suit individual requirements, if requested. We normally use flute/ oboe/ french horn/ bassoon for the 4 voices sections, although a number of members like to have a piano solo section. Again, we can change things to suit individual preferences quite quickly. The music isnt fool-proof. 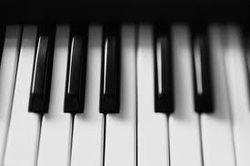 Ocasionally, it has a bit of a hissy fit if there are sudden changes of time signature, but other than that, they are an invaluable tool for any singer, whatever the ability. This service is free to all members, although a donation to the Society is always grateful. We have no intention of competing with the Companies, Organisations and Individuals on the Internet, and we have no intention to infringe copyright. Our service is only to provide further learning. This terms music (ie January 2013 onwards) will be added shortly.